When you go to the Task Manager, you find that there is this one suspicious process called Search Indexer, also known as searchindexer.exe, constantly running at very high CPU and Disk usage. This post explains what is Search Indexer service and how to fix or disable Search Indexer Windows 10 high CPU or Disk Usage problem. When you do a search in the Windows 10 start menu or File Explorer, sometimes the search results can show up almost instantly. This is because the files have been indexed by Search Indexer to allow quick searching. The search indexing process, however, will use up CPU resources and keep your Disk busy while trying to index files and contents in the background. Thus, the searchindexer.exe may seem to be always running at high Disk or CPU usage. Sometimes can be as high as 100% Disk/CPU usage. Depending on how powerful your CPU is, how fast your hard disk drives can read and write, and how large are the files that are being indexed, the search indexer process may take some time and may possibly slow down your computer. 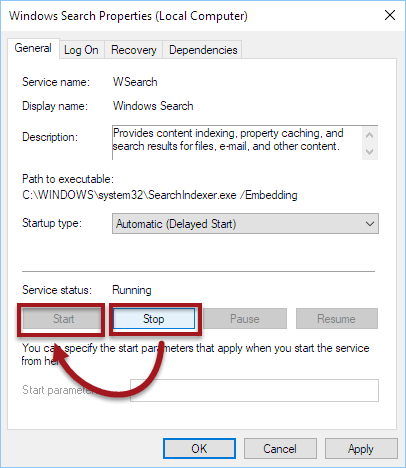 Though we don’t recommend to disable the Search Indexer service, if you have no other choice, turning it off should eliminate the computer slow down problem. We suggest you to try other fixes listed below in this page before disabling the search indexer service. To disallow search indexer to index a specific disk, follow the steps below. 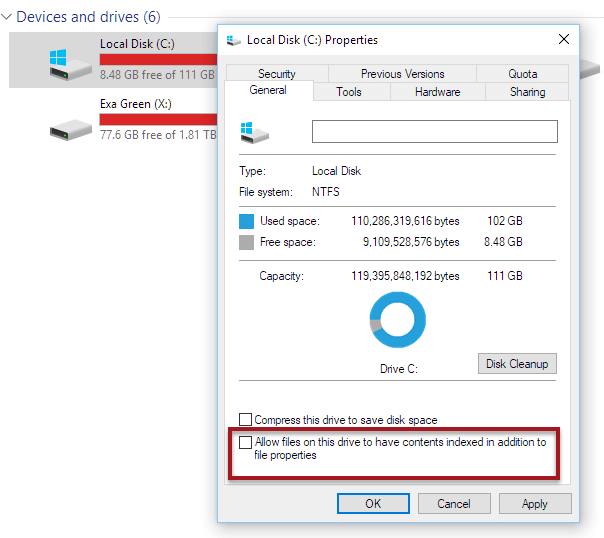 In Windows 10, open File Explorer and go to This PC where all your drives are usually listed. Right-click on the disk which you want to disallow indexing. At the bottom, uncheck the checkbox that reads Allow files on this drive to have contents indexed in addition to the file properties. Restart your computer. Search Indexer should stop indexing contents in that particular drive. Use this method if you want to stop indexing for certain drives that have huge amount of data you don’t need them to be indexed. 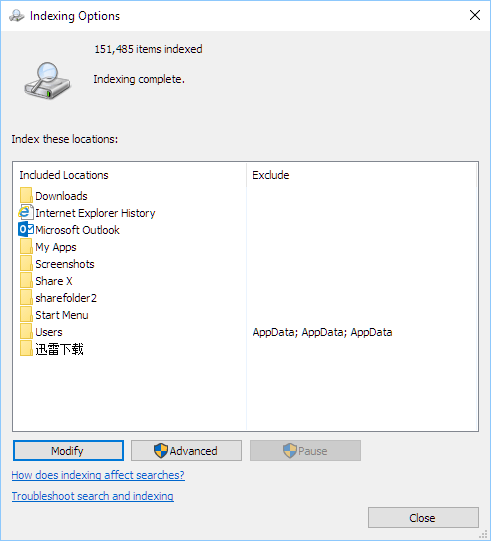 To completely disable Search Indexer in Windows 10, follow the steps below. Type services.msc and open it. In the Services window, from the huge list of services in the right panel, look for Windows Search. Beside startup type, click on the drop-down menu and then select Disabled. Restart your PC. 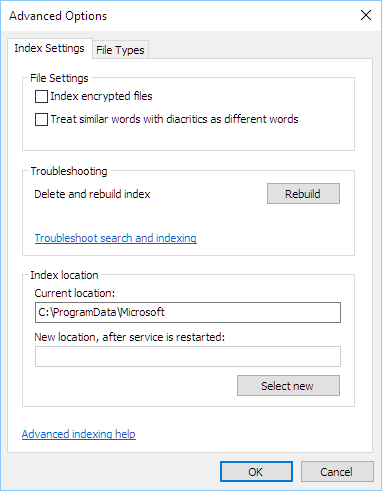 The Search Indexer service in Windows 10 should now be disabled. It won’t index any files or contents until you re-enable it. Searches for files and contents may take a long time now. Before completely disabling the Search Indexer service, you should try to restart the service and see if it stops the Search Indexer high Disk or CPU usage problem. Sometimes searchindexer.exe can get stuck when indexing files or folders that are too large or get requested too frequently. Restarting the Windows 10 Search Indexer service should help fix the high Disk/CPU usage issue. Press Windows key + R to open the run window. Type services.msc and hit enter. 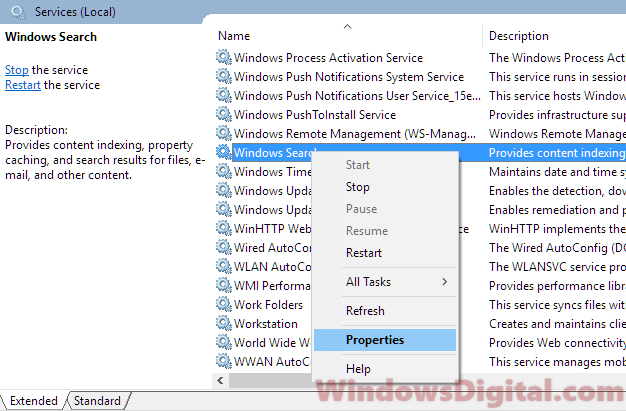 In the services window, find Windows Search from the list of services. Right-click it, then select Properties. Click on the Stop button to stop the service immediately. Then, click on the Start button to restart it. Check your task manager again and see if Search Indexer Windows 10 is still using high CPU or Disk usage. When Search Indexer runs non-stop at high Disk / CPU usage, you may want to manually select the directory or folder you want to index. Doing this will allow Search Indexer to index only these directories and not wasting resources indexing other huge folders you don’t often access. To do this, go to start menu. Search for indexing, then open Indexing Options from the search result. Click on the Modify button. Optionally, click on the Show all locations before modifying. You can then select or deselect folders or directories you want Search Indexer to index under Change selected locations. Search indexer will index item only once. It will only index the same item again if there is any changes made to the file. So, by selecting only the folders you want it to index, it will help to immensely reduce the searchindexer.exe high CPU / Disk usage, especially if you have lots of disks with huge amount of data. 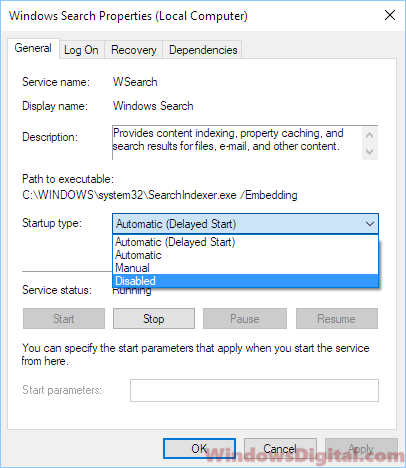 If nothing works to resolve the Search Indexer Windows 10 high Disk or CPU usage issue, you may want to try running the troubleshooter for search and indexing in Windows 10. Open Indexing Options as outlined above. In the Indexing Options window, click on the Advanced button. Under Troubleshooting in the Index Settings tab, click on the troubleshoot search and indexing link. The troubleshooter should start to automatically identify problems and resolve them. When there is any issue with Search Indexer, rebuilding the search index can help to resolve it. To rebuild index, open Indexing Options window again. Click on Advanced. Under Troubleshooting, click on the Rebuild button to rebuild the entire search index. This may take awhile as Search Indexer reindex your contents all over again. After the index is finished, Search Indexer should stop working until there is new file added to your disk. Description for sharing: SearchIndexer.exe or Search Indexer always running at high CPU/Disk Usage? Here's how to fix or disable Search Indexer service in Windows 10.